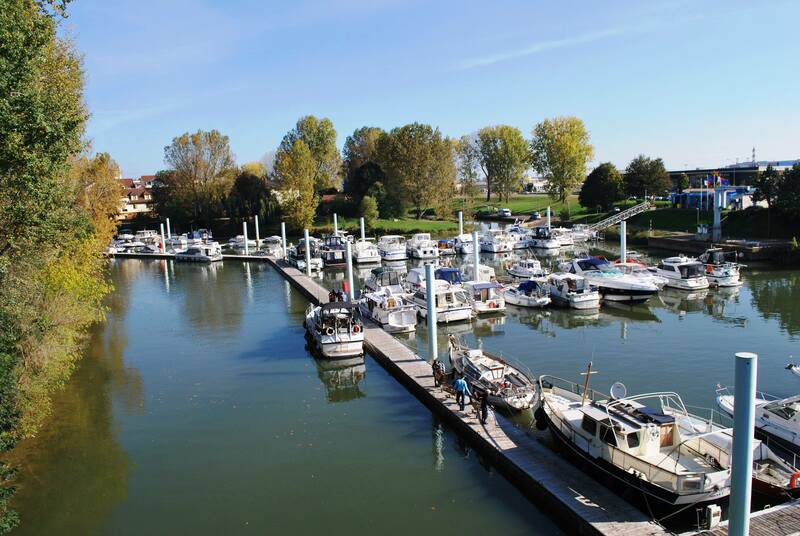 The Marina gives us want we wanted to experience, the feeling of living in the centre of a French city but also giving us a lot more than if we had rented an apartment, a number of friendly helpful neighbours. 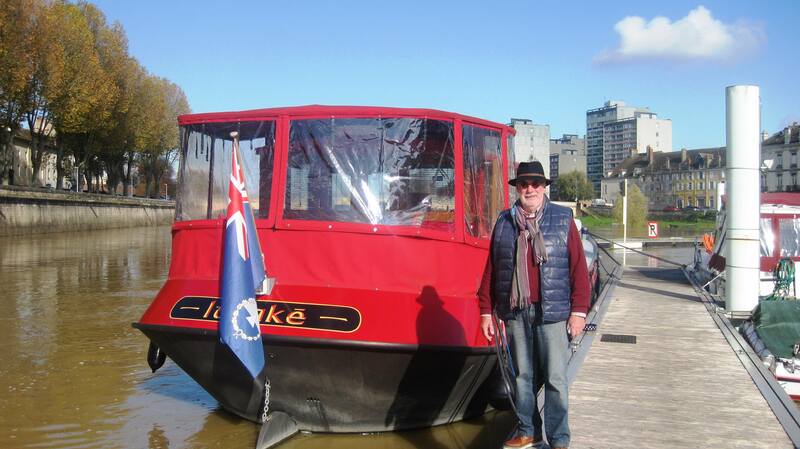 There are a small number of people who spend a good bit of time on their boats over the winter period. Either local people who visit their boats most days or others like ourselves who are staying on board for weeks at a time. People on boats tend to be very helpful. They have learned from the boating way of life that it makes for the most pleasant time- all boaters need the help of others at one time or other. They are also very tolerant and accepting of other people’s idiosyncrasies and foibles and that makes them great company. (During the boating season they are on the move all the time, in different marinas each day.They are therefore meeting new people all the time and they learn to make new friendships quickly, yet they know they have to the freedom to move on if it not working out). So far we have been out to dinner with Peter and Dorothee Streuli on “Jameson” twice. They have been to our boat and we to theirs for drinks a number of times. Michael on “Itake” has been over for drinks to our boat and us to his. 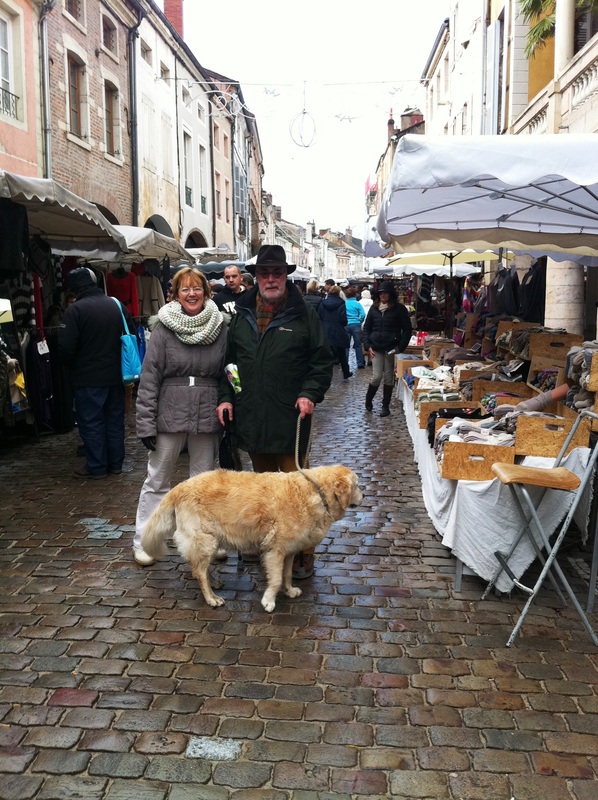 Tonight he is cooking dinner for us and last Monday the three of us and Daisy his dog went in our car to a big open air market in Louhans, Chateaurenaud, which is on the third Monday, of every month. 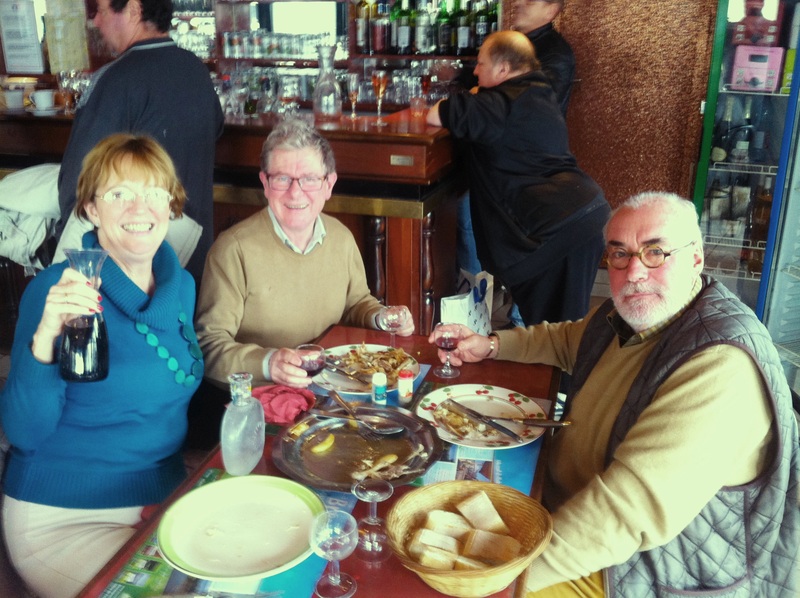 It was a great market and we had one of our best lunches in a typical French restaurant. There was no fish on the menu, so I had to eat chicken! We intend to go back. Thierry, on Carp Diem 2, our neighbour, has given us great help with fishing our bikes out of the water and fixing our TV. Marie Angle and he have come over to have drinks with us. Chris on “Lac Bleu” also helped us with the TV and introduced us to the other French boaters in the Marina, Jackie, Fred and John Mark. Ulrich who lives in Mercury but keeps his boat in Chalon (we actually met him in Surre on the way to Chalon) has kept in touch with us since we got here . He calls to our boat everytime he passes. So we have settled into our little transient community. 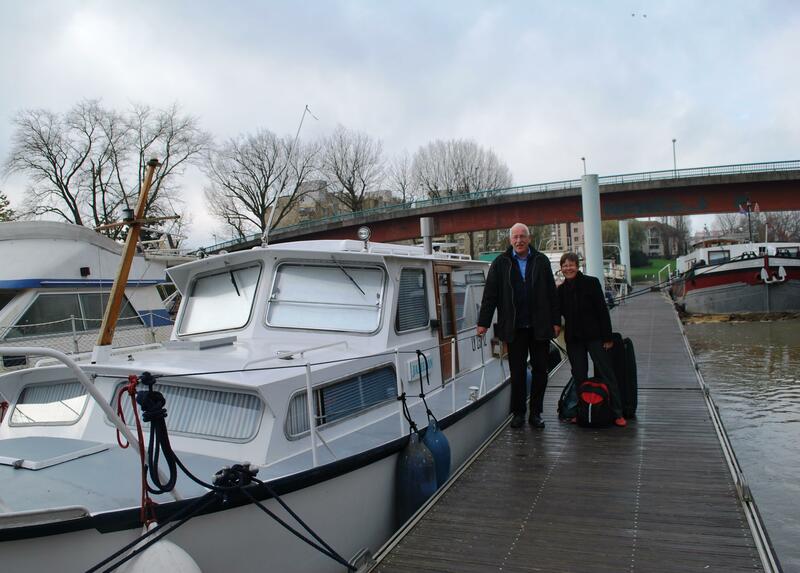 Already Peter and Dorothee have left to go back to Switzerland for the winter months. But as Nuala says we are loving it! This entry was posted in People We have Meet on the Gap Year, People who have helped us on our way, Places visited and tagged Carp Diem 2, Chalon, Chalon Marina, Chateaurenaud, Lac Bleu, Louhans, Mercury, Peter and Dorothee Streuli, Surre, the market in Louhans. Bookmark the permalink.